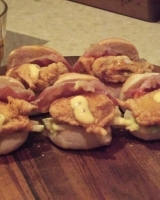 If you prefer, you could make the sliders with 400g cooked prawns or poached chicken instead. You can also substitute chervil, dill or basil for the tarragon, but you will need to use a bit more. 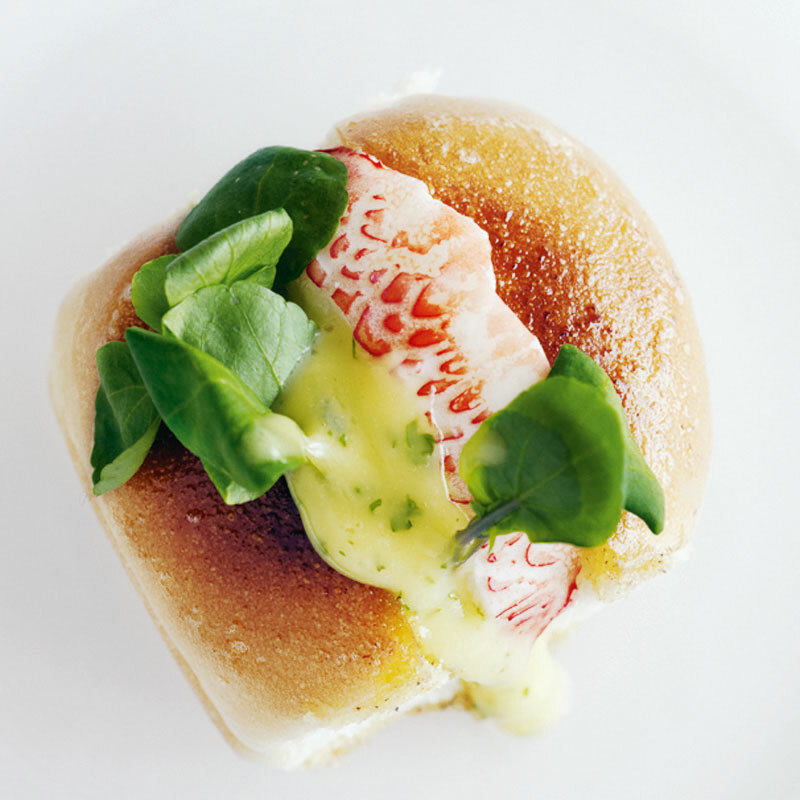 Serving crayfish this way means a little goes a long way. Put the egg yolk in a bowl with the mustard, lemon juice and a pinch of salt. Combine the oils. Add a few drops of the oils to the egg yolk mix at a time, whisking constantly until the mixture starts to become creamy. Continue to whisk while adding the rest of the oil in a steady stream. Stir in the tarragon and set aside for 30 minutes to allow the flavour to infuse. Slice the sliders through the centre, three-quarters of the way through. Just before serving, melt the butter in a large frying pan over medium heat. Add the sliders, top sides down, and cook for a few minutes or until golden then turn and cook for a few more minutes to heat through. 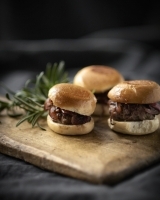 Spread the sliders liberally with tarragon mayonnaise then fill with crayfish and watercress.